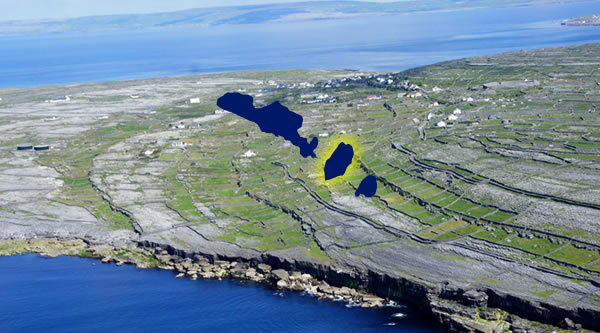 This is one of the Aran Islands most noted prehistoric monastic sites and it’s location is handily close to where the ferry enters the island. This is a stone mound named Cnoc Raithní and at a glance does not capture your imagination and one would may well miss it if not looking for it. 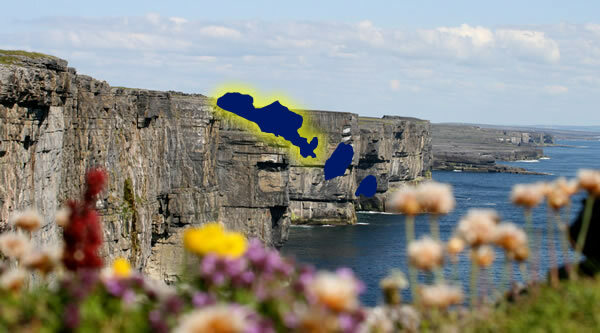 However, it is a very significant site for the Aran Islands. 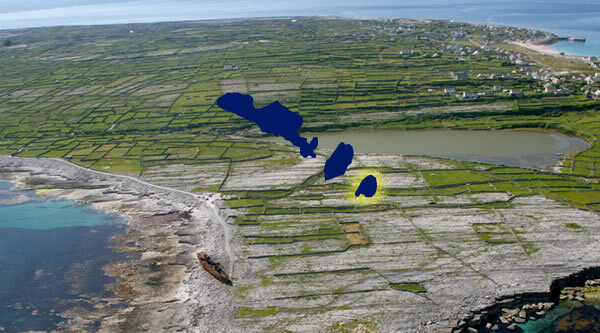 A storm in 1885 uncovered the stone mound, which had previously been covered with sand. The mound was later discovered to be an ancient burial ground and important artefacts of a bronze pin and jars containing cremated human bone were found. The remains have been dated at 1500BC.